Over the past few months several asset “backed” token ICOs have been announced. Silvertoken, while not operating under the traditional “ICO” model, is redeemable for precious metals stored in vaults unlike others that are merely backed by gold and silver mines. So, what’s the difference between buying tokens redeemable for precious metal that’s stored in a vault and buying tokens backed by a physical mine? If an asset is redeemable for a physical metal, its price will track the price of that metal. If the price of the token deviates from that of the metal, it will offer an arbitrage opportunity to commodity traders. If the tokens trade at a discount, they’ll be able to lock in that discount be selling metal futures and buying tokens — which can be redeemed for the physical metal. It’s all very straightforward. A token supported by a gold or silver mine is a different story. It moves from being an investment in a scarce resource to a speculative bet. This is nothing new. For nearly 200 years investors have had the opportunity to invest in either precious metals, or shares of companies that extract precious metals from the ground. Mining uses huge amounts of cash and they often use more cash than planned. When a mine runs out of working capital, shareholders have to inject more capital — or the mine shuts down. Each mine has a unique cost of producing an ounce of metal. Over time that cost of production increases as the remaining metal is located deeper and deeper below ground. Marginal mines have a cost of production just above the metal price. If the price of silver or gold falls below the mine’s cost of production, the mine becomes a loss-making operation. Shareholders then have to decide whether to continue extracting metal at a loss, or suspend operations until prices recover. Marginal mines often suspend operations, which requires retrenching workers and paying out retrenchment packages. The value of a mine is usually based on geologists estimates of the remaining reserves in the ground. But, these are just estimates — the actual amount may be more or less than the estimate. The cost of extracting the metal is also an estimate. These challenges are the reason that the mining sector has seen numerous boom and bust cycles around the world over the past 200 years. While some investors have made a lot of money, more fortunes have been lost than made. The easy money extracting metal from the earth was made a long time ago. Mines are now deeper and more dangerous, while safety standards and wages are higher. On top of that, environmental concerns now add another layer to that expense. The story doesn’t end there. Not only is the mining industry incredibly challenging when it involves extracting actual metal from the ground — but sometimes there isn’t even gold or silver in the ground. 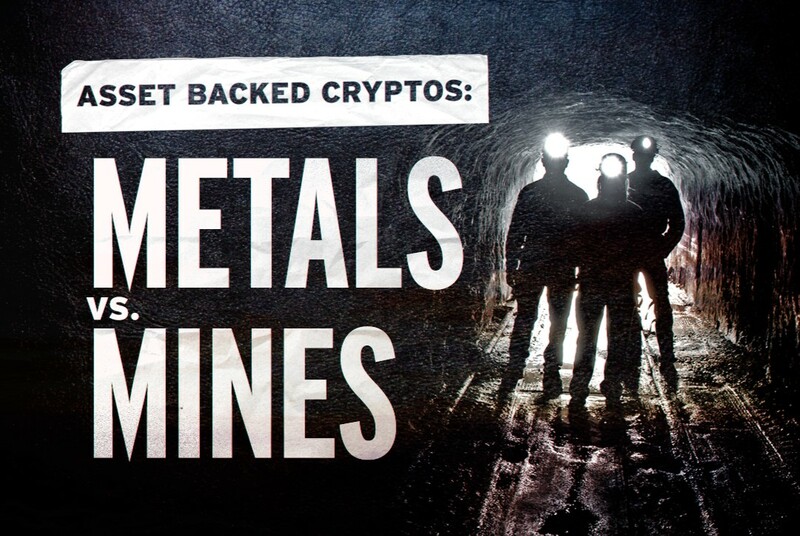 The history of gold and silver mining is littered with scams and frauds. Sometimes the geologist’s reports are fraudulent and sometimes even the entire mine is a work of fiction. If an investor wants a digital asset redeemable for something real, the last thing they should be considering is a token backed by gold or silver that has yet to be found or extracted. Silvertoken offers both crypto and silver investors alike the opportunity to diversify their investments into a digital asset redeemable for something both real and scarce. The simplest way to own vaulted silver bullion.